Click here for more stories by Pierce Brown. 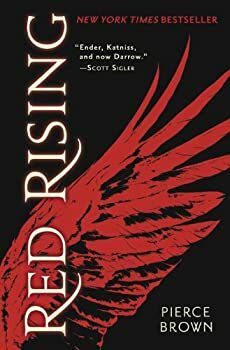 In Pierce Brown’s debut novel, Red Rising, humanity lives in a strictly hierarchical society, with the various castes marked by colors: Golds at the top, Reds at the bottom, Pinks for pleasure, Yellows for bureaucrats, etc. Darrow, a young Red, who mines beneath the surface of Mars for Helium-3, has always accepted the hierarchy as it has been drummed into him, until events cause him to see things differently. Eventually, he is set on a path whereby he will seek to undermine the Golds’ power and spark a revolution of Reds. If, that is, he can stay true to himself and his mission even as he infiltrates the Gold society. Because of the many twists in the novel, that pretty much all I’m going to say about plot. 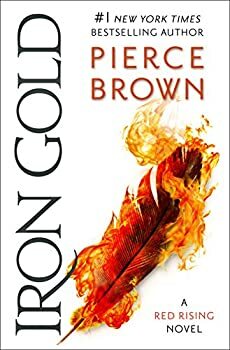 There’s not a lot to say about the plot of Pierce Brown’s Golden Son, the sequel to the fantastic Red Rising, because outside of the density and complexity of the story, which would necessitate a lot of summary space, Brown fills the novel with so many twists, turns, backstabs and back-back stabs that it would be difficult to offer up a synopsis that both gives a true sense of what happens and does not at the same time give spoiler after spoiler. So let’s just say the plot is, well, dense and complex, is filled with twists and turns, and is almost entirely (but not quite entirely) a strength in the book. And we’ll move on to why it is an excellent follow-up that suffers not in the least from the dreaded second-book-of-a-trilogy syndrome. 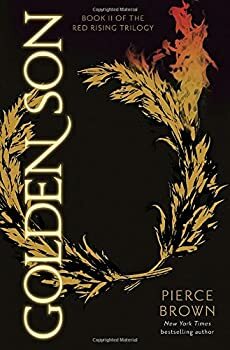 WARNING: Contains spoilers for book two, Golden Son. Editor's note: This series continues with Iron Gold. 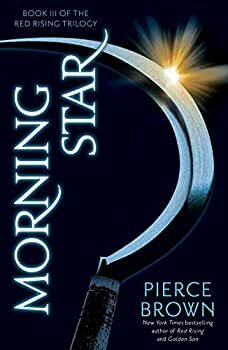 I was a big fan of Pierce Brown’s RED RISING trilogy, so I was thrilled to hear he was going to continue the story with a new trio of books. And I’m happy to report that the first book in that new series, Iron Gold (2018), delivers the goods.